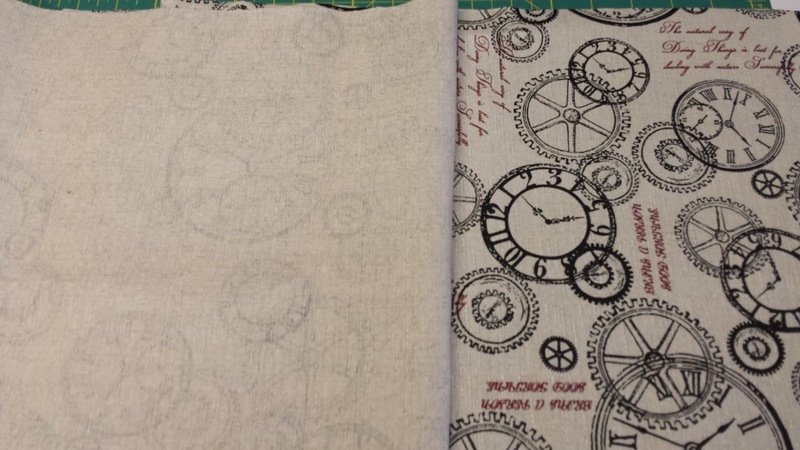 DON'T WAIT TO CREATE: "Not just for Spies"
My objective this year (not a New Years resolution) is to work with fabrics and techniques that I am unfamiliar or not confident with. 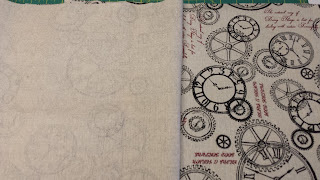 For my background I have used the reverse side of this printed linen. I liked the faint texture coming through of the clock faces. The Go Baby circle cutter was incredibly quick. These circles are made of a selection of men's suiting, shot cottons and craft cottons. I had to put right sides together when cutting more than one circle at the same time because the fusible webbing on the wrong side made them stick together and separating them caused damage to the circles. I rechecked my code so many times as I found the lite fusible didn't really adhere to the linen well and my circles kept falling of. Locally I couldn't buy standard fusible - only lite which isn't strong enough for this type of work. 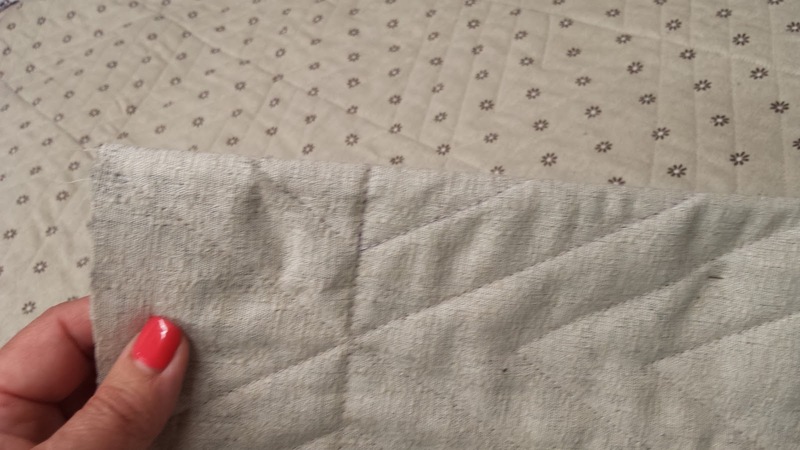 I felt that my quilt would look better without a binding frame. I cut my binding strips 3" wide and ironed them in half wrong sides together. Sewed bindings to the sides of the quilt first in the same manner as you would with the standard binding technique but leaving 3/4" short on each end. back of quilt, binding made from the same fabric 3/4" short. 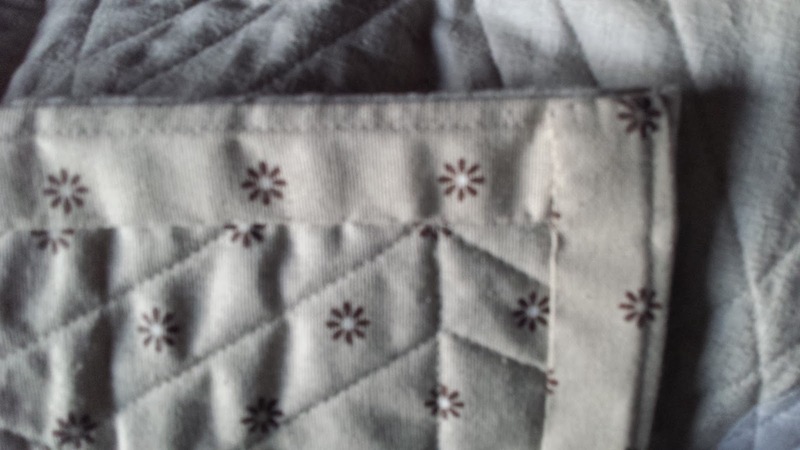 Opened out the binding and top stitched from the front of the quilt. 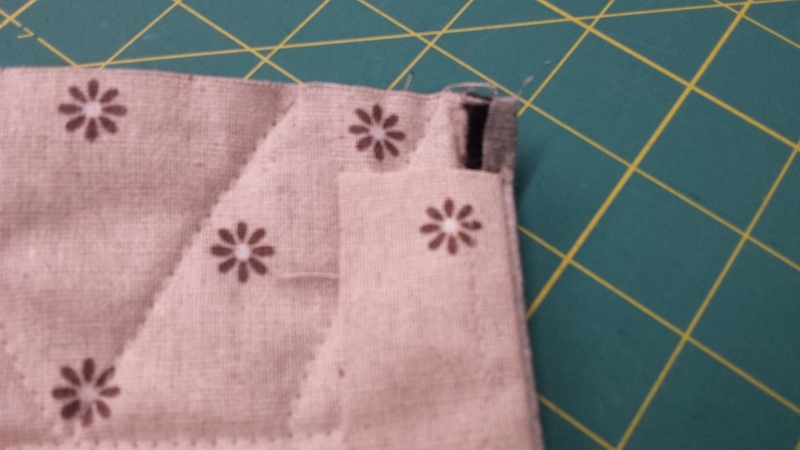 Once top stitched, fold binding onto the back and hand stitch down. 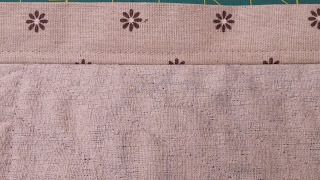 As the binding is folded, the front edge rolls around to the back as well. Back of quilt with binding corner. Recently I attended a class with Lisa Walton. 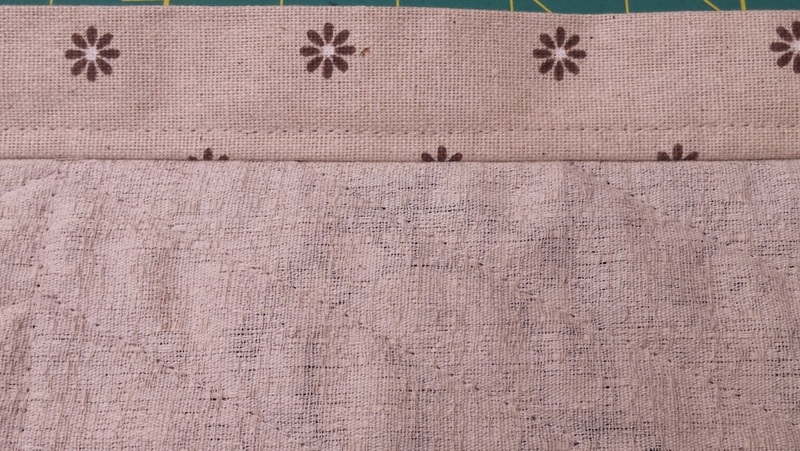 She mentioned how she always uses the same weight fabric on the front and back of her quilts so my backing is made from linen as well. 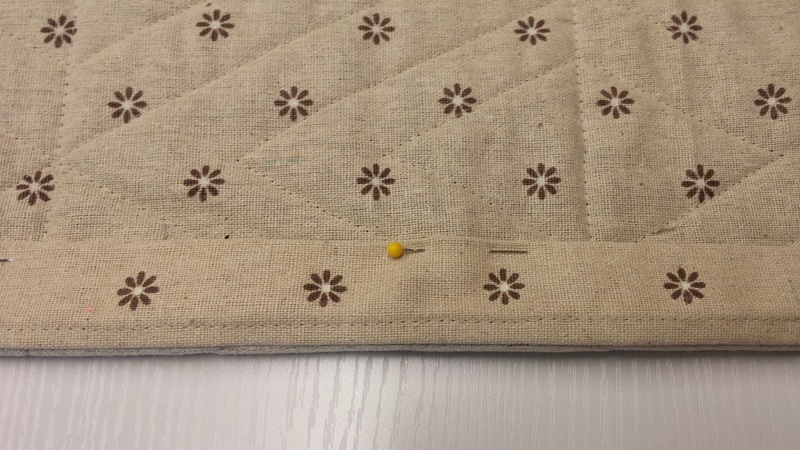 With two layers of linen and cotton batting I had to increase my stitch length to 3.5 to stop puckering when quilting and sewing on my binding. 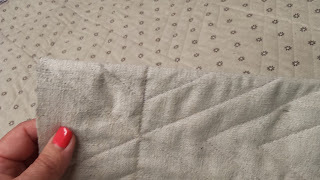 I used a Frixion pen to mark out my quilting and these iron out. So wonderful. If I made a mistake, the clover iron became my rubber. Fortunately the weather here in Lower Hutt never gets to -9deg. If it does - my markings will re appear unless I wash my quilt. 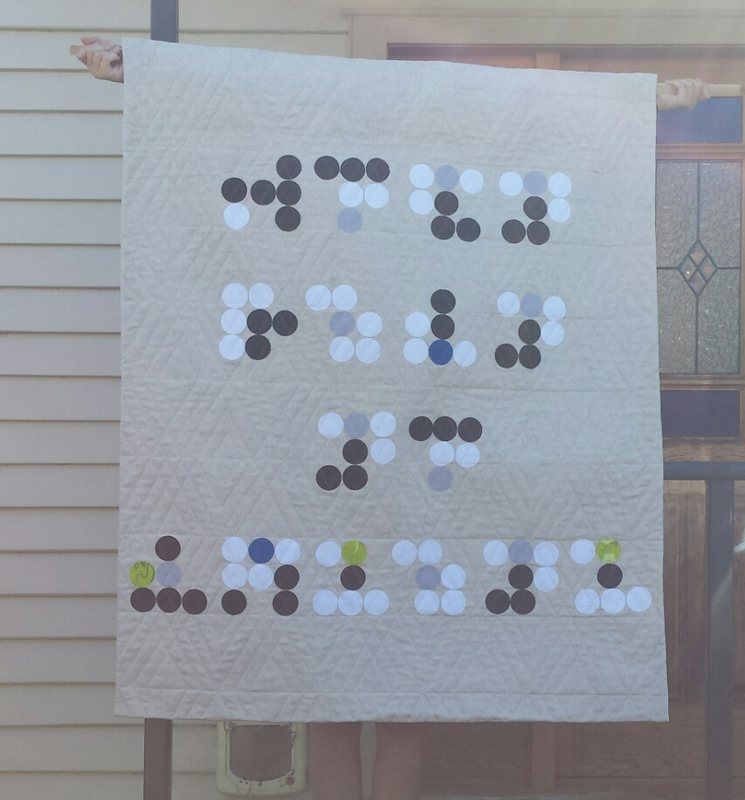 Here's my quilt with the cipher code below. We are having a fantastic summer and I have to say this quilt was incredibly hot to work on.